Guitarist Kevin Eubanks' creative power can guide his guitar into the center of any attention: home-cooked Philly funk, a jam at Bradley's, a beautiful duet recording and tour with Stanley Jordan, a power fusion encounter with Dave Holland. And of course a 15-year bandleader on The Tonight Show. 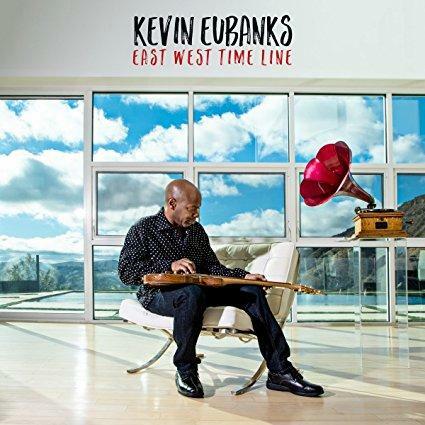 His new album, East West Time Line, demonstrates how music can feel when it's not only intelligent and engaging but also steeped in what Lester Bowie called "serious fun." It's all steeped in a timeline mapped out in the East with pianist Orrin Evans, bassist Dave Holland, trumpeter Nicholas Payton and drummer Jeff "Tain' Watts. And in the West, with pianist Rene Camacho, tenor saxophonist Bill Pierce, drummer Marvin "Smitty" Smith and percussionist Mino Cinelu. There are originals, visits to the domains of Ellington, Chick Corea and Motown — even a nod to Kevin's uncle, the legendary pianist Ray Bryant.